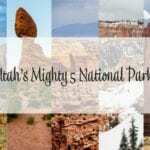 We visited Arches National Park a couple of times during our 13-day stay in Moab. Given its popularity and the fact that it was National Park week with free entry, it was crowded and we limited our time there. I thought this post would be best served as a photo essay. 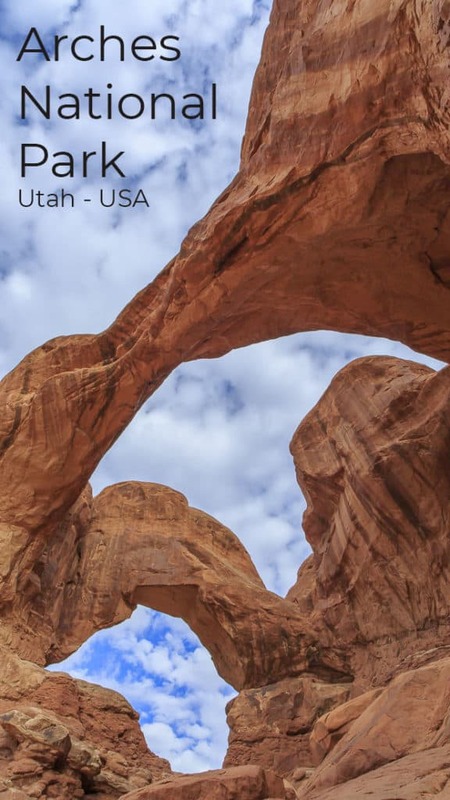 There is no doubt that the easy accessibility of the beautiful rock formations is captivating! Right away you are met with huge rock formations like The Organ, The Three Gossips and more. Then you reach Park Avenue which has great hiking. I love New York City, but this Park Avenue certainly is impressive! 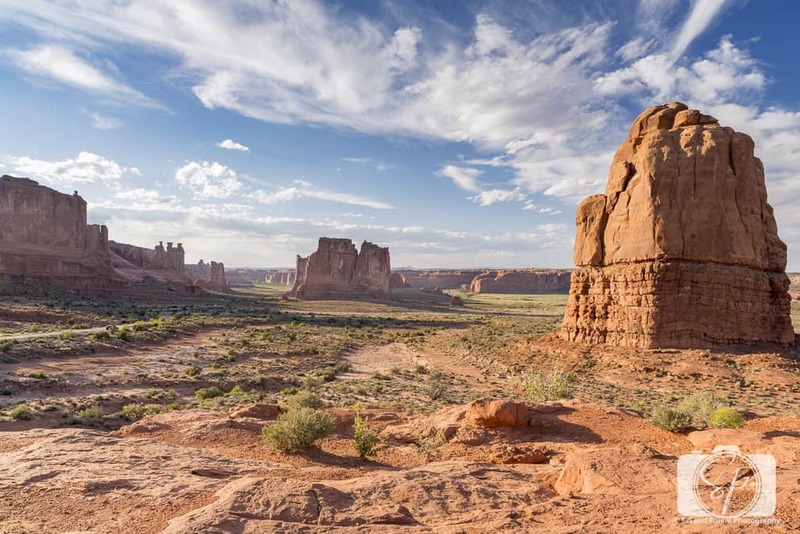 Park Avenue in Arches National Park. You start with Balanced Rock. We did a sunrise session here. 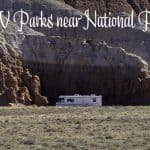 Despite being National Park Week, we were all alone! Even if the weather didn’t cooperate, we still got a nice photo of Balanced Rock with the La Sal Mountains in the background and a bit of The Windows in the middle. Then you turn into Windows Area where you’ve got the Double Arch. 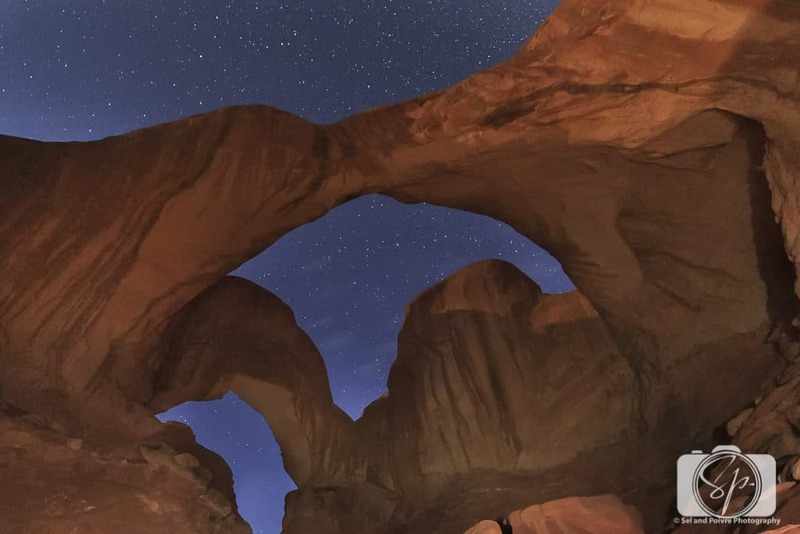 Mr. Misadventures also had the opportunity to do night shooting here in 2014, Arches has rock formations that are perfect for capturing the moon, stars and Milky Way. He has a gorgeous Milky Way shot in his Arches portfolio. Then comes the Windows, both North, and South. So many photo opportunities here! This is Turret Arch from the North Window. 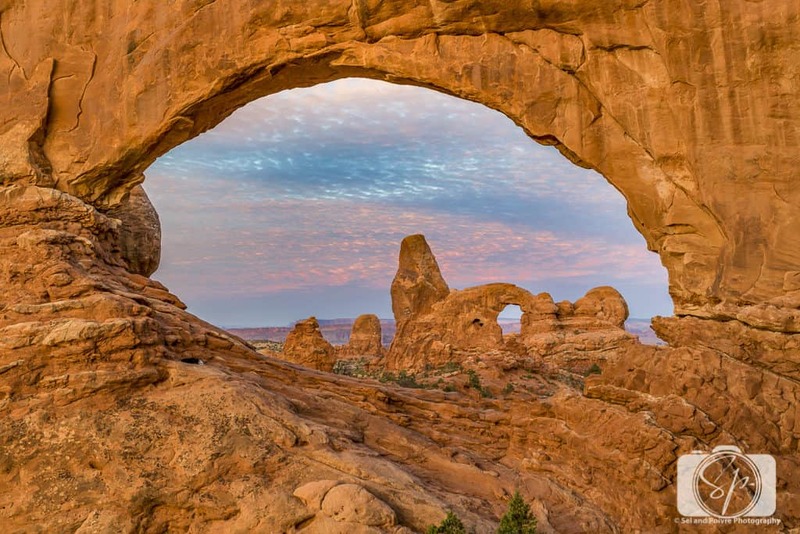 The Windows in Arches National Park. 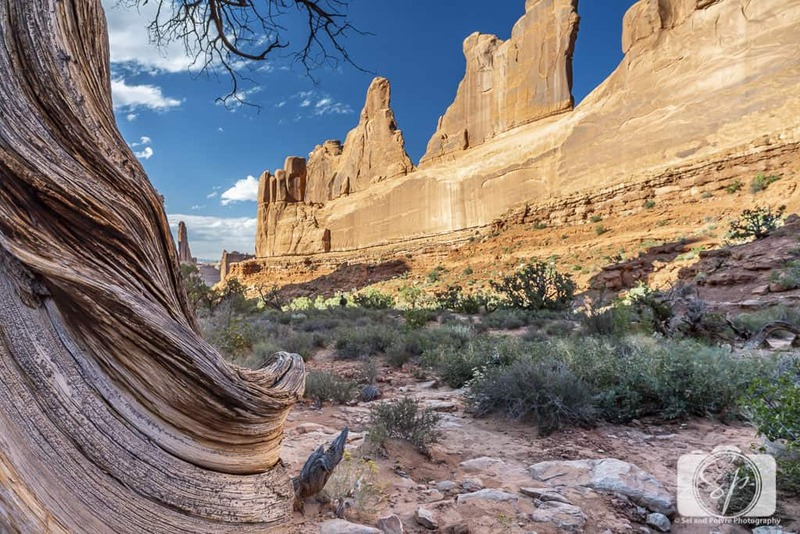 There is lots more to Arches National Park and after my first visit I can see why it is so popular, I’d love to go back in the fall to see what the park is like at that time of year. How about you? 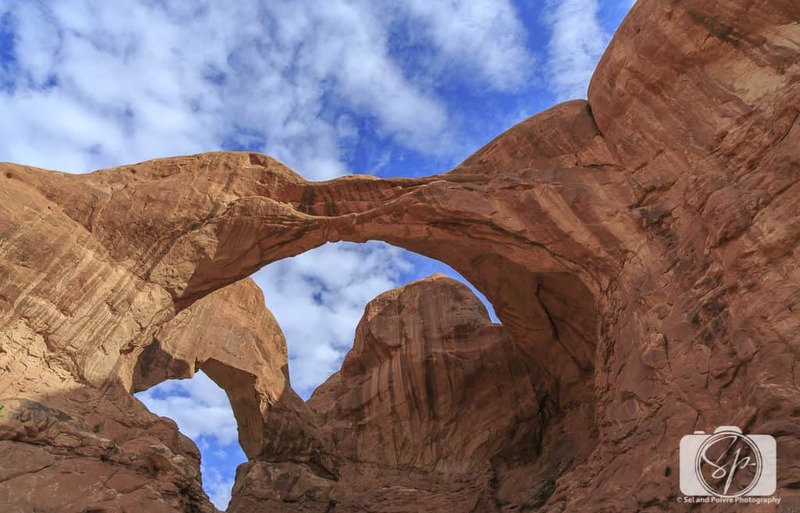 Have you been to Arches National Park? Do you plan on visiting? 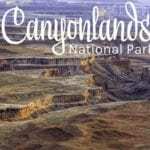 This would be a beautiful national park to visit! We love to explore parks when we travel, I know my boys would love exploring there. Never been, but by the photos I sure would love to go! What’s the average temp during the day? Oh my gosh. 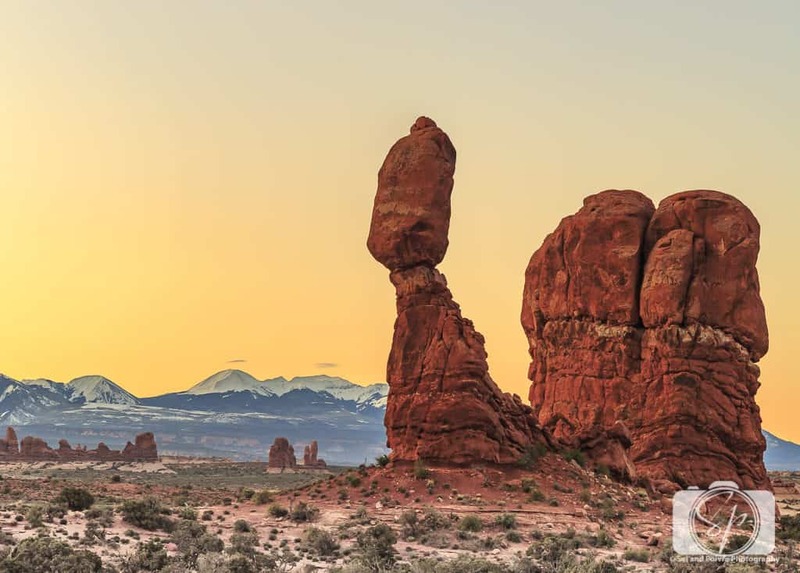 Every photo I’ve seen of Moab is stunning. It’s on the top of my bucket list. This park sort of reminds me of Garden of the Gods in Colorado Springs. I went there a few years ago and loved it. Have you been? Omg what breathtaking photos!!! I have never been to this park. It’s actually the first time I’ve heard of it. I live very close to Arches, but have yet to explore it much. The photos in this post are making me want to hop in the car and head down for the weekend! Thanks for sharing. Beautiful photos with beautiful natural lighting! Aww inspiring location! That is beautiful, even though I don`t like going out much! This is just gorgeous. I would love to see that in person. Wow, what a breathtaking park! You take beautiful pictures! 🙂 It definitely makes me want to pursue my dream of traveling.